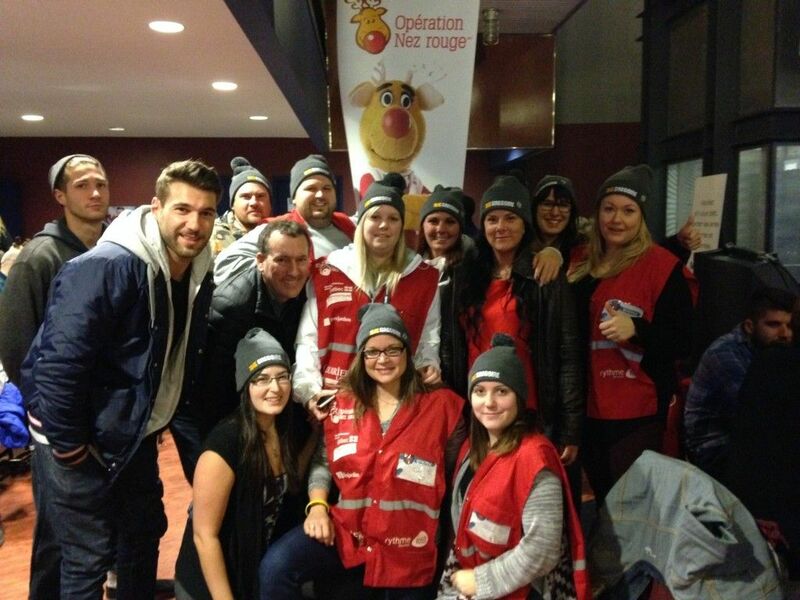 It is with great happiness that HGregoire announces its involvement in the 30th edition of the Operation Red Nose campaign in Laval – Basses-Laurentides again this year. This is the 12th year of partnership between the two organizations. Thus, the Communications and Marketing Director, Philippe C. Landry, will take over the presidency of honour. This campaign will allow HGregoire to sensibilize the population to the cause of Operation Red Nose. Moreover, HGregoire’s team will be involved directly as volunteers in the region. Therefore, HGregoire would like to invite the population of Laval and the Basses-Laurentides to also come spread the magic of Christmas to all road users. Sign up with your friends, family or coworkers and come enjoy this unforgettable experience! In the photo, a few employees of HGregoire volunteering for Operation Red Nose. The company also wishes to thank all those who have chosen to offer their time on a volunteer basis to Operation Red Nose, as the undisputed success of Operation Red Nose is largely theirs. Furthermore, it is important to remind all people that if you party, plan to return home safely!